You've been researching online about getting your CDL at a trusted trucking school. You've read countless articles online, you have the support of your closest family and friends, and you have all the information you need....almost. One major idea many students overlook when making plans to attend trucking school is this: You must enter trucking school with a humble and teachable attitude. Whether you have thousands of miles under your belt or are entering the profession as a brand new driver, a teachable posture is crucial to your success. If you've been in the industry long, you understand just how much the truck industry has changed over the years. Every year, the industry ebbs and flows as the economy shifts, fuel prices rise and lower, and companies face driver shortages. Heading to school is an excellent way to get a competitive edge over other drivers. It's also a smart decision to learn new skills or keep your skills up-to-date with new technologies, trends, and laws. There's never a time, in any profession, when you're beyond learning. So if you've made the decision to enroll at a trucking school, congratulations! You're already way ahead of others who are still just thinking about it. But remember, take a humble attitude with you. By definition, a student is "one who is a learner or one who attends a school". When you enroll at a trucking school, you become a student saying to your fellow classmates and your teachers — I don't know it all. Time spent in any school is a time of listening, asking questions, and growing as a person and as an expert in your particular field — trucking school is no different. 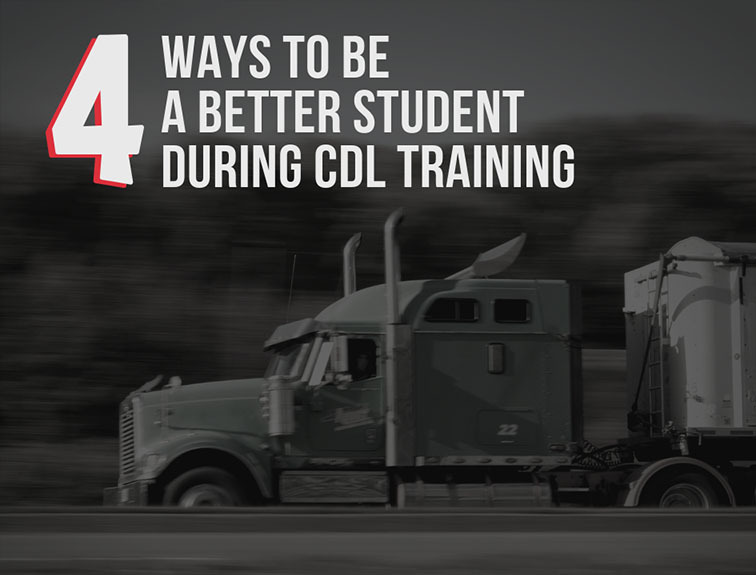 If you approach trucking school with a posture of humility, your teachers will be more than willing to go the extra mile to make sure your learning experience is engaging, customized, and enjoyable. Once your program is complete, you'll hit the road thankful for the knowledge you received and the professional mentors you've gained. While it may not be a requirement on the trucking school application, a humble and teachable attitude is a must. Not only will your teachers respond positively to your eagerness to learn, but you'll also get the most out of the program and be ready to hit the road with new-found confidence. If you're ready to take the next step towards in your career, contact us today. We're eager to hear from you and ready to answer any questions you may have. 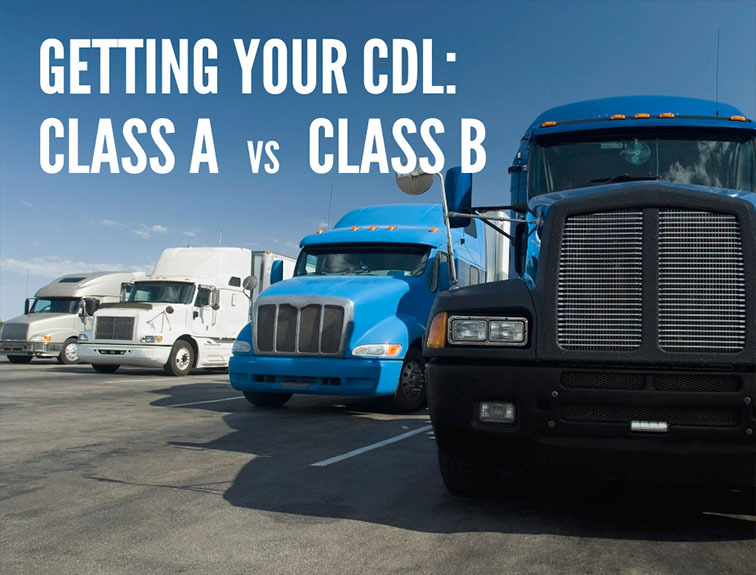 CDL A or CDL B? A Commercial Drivers License, or CDL, allows you to drive larger vehicles such as semi trucks, flatbeds, tanker vehicles, and other larger trucks. A CDL license is truly a good investment in a career, as it opens the possibility of you being allowed to drive trucks meant for many different career paths. When you get your CDL at United States Truck Driving School, you'll have a choice between two CDL classes; CDL A or CDL B. Each license gives you the ability to drive different trucks, and each has their own merits, though class A is usually the most commonly obtained, for very good reason. A Class B CDL gives you the ability to drive vehicles weighing in at 26,001 pounds or more.  However, with a CDL B, you may not drive a vehicle with a trailer that exceeds 10,000 pounds. So, though you can drive a large vehicle, this license does comes with its limits. Vehicles allowed under a Class B CDL license. What is your policy regarding pay while on the road? Will I be compensated for layovers? Am I paid by the hour or by the mile? Are most of your routes long hauls or shorter day trips? Can I choose my routes or will they be assigned? Will I be required to load and unload the truck? If so, how will I be compensated for my time? By the package, weight or hour? Can I bring my pet with me? If so, are there weight restrictions? What is your refueling policy? Will I be provided with a company card or will I get reimbursed? What are the benefits associated with this position? Medical, Vision, Dental? Are benefits available to me on the first day of employment or is there a waiting period? Are there additional benefits available like continuing education opportunities for additional training? Will the company help with my truck insurance payments? What are you looking for when giving raises? As I gain seniority, will new opportunities become available like preferred routes? What is the pay structure like as I become a seasoned driver? Is there a possibility to become part of management further down the road? Is there someone available in the home office 24/7 should I need assistance? When I am on the road, what is your policy for expenses like tolls, meals and overnight stays? Are there bonuses for spotless driving records? Does the company use an e-log? How large is the company and is it growing? It's estimated that the trucking industry will be short 150,000 drivers by 2024. Experts are asking for a change now in order to combat the shortage. Trucking companies already offer higher pay per mile, sign-on bonuses, and health or retirement benefits to attract more drivers. Now, they're looking to hire from a younger pool of applicants. 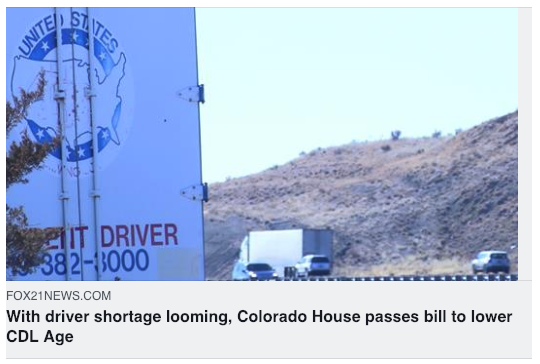 On Monday, the Colorado State House passed a bill that would lower the age requirements for truck drivers from 21 to 18. 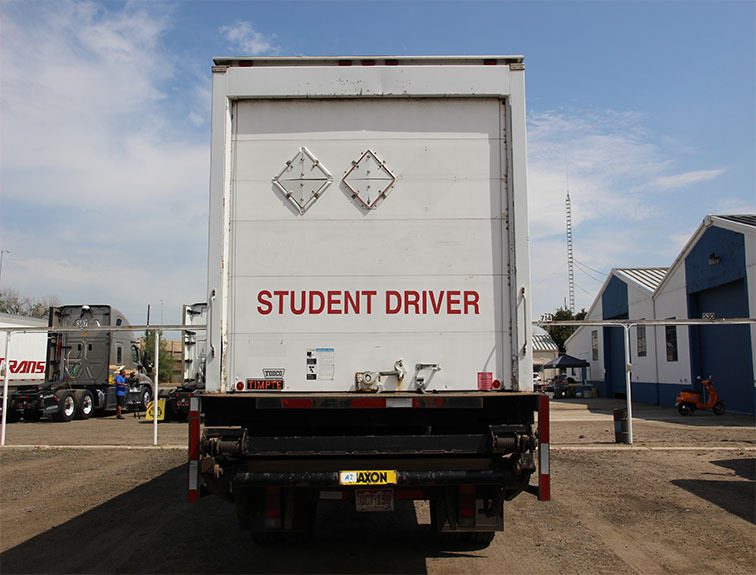 Current state law allows 18 year old CDL holders to drive within state lines only. Interstate drivers must be at least 21 years old. This bill would allow anyone 18 and older with a CDL to drive across state lines on longer routes. Fox21News Right Now talked with Mark Haefner, Director of Training for the USTDS Colorado Springs campus about this new bill, and the option for 18 year olds to drive these long haul routes. While he has his concerns, he thinks it would be great for these younger drivers to partner with a trucking veteran as continued learning. With this bill, we could start seeing a younger generation of drivers enrolling for CDL training at United States Truck Driving School. USTDS provides Class A CDL Training programs at two Colorado locations. Along with training, students can use financial aid and have job placement assistance once they complete the course. We hope to see more young adults enter into the trucking industry. If you’re ready to get started with your CDL training, contact United States Truck Driving School and get on the road towards a successful career! Paying attention in class isn't fun. It's just not. 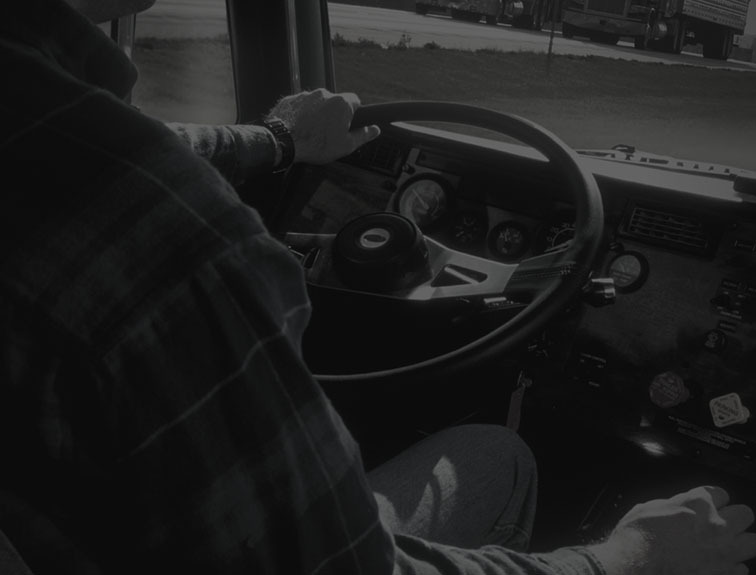 The allure of the open road or the desire to get out of an office or classroom was the reason for getting a CDL. But, you find yourself in a classroom. Listening to someone explain things that may seem too obvious or too complicated… And you start to tune out. This can feel natural. Maybe you already know this material and you don't need to hear it for the thousandth time. Or you got lost right off the bat and don't want the embarrassment of asking a question. But great drivers are the ones that are always learning. AIf you missed something, or got a little lost, it is better to ask a question in class than to have a question on the road. If you already know the information being taught, try to think of a question to ask. This may help less experienced drivers get more information, and you may learn something you didn't already know. You forget most of what you don't write down. Taking notes is the best way to stay engaged, and you have something to look at if you ever have a question down the road. Maybe you've heard the stories of the student who sideswiped the light pole in the parking lot. It happens. Don't be that student. When you get behind the wheel breathe easy and remember your training. Confidence and quickness are not the same thing. Listen to your trainer; and visualize your success. It's what the pro athletes do, and it's the best way to learn. Finances should never keep you from getting the career you deserve. Luckily, they don't have to. United States Truck Driving School has many different opportunities available for financial assistance. These include allowances, reimbursements, loans, sponsorship, and others. 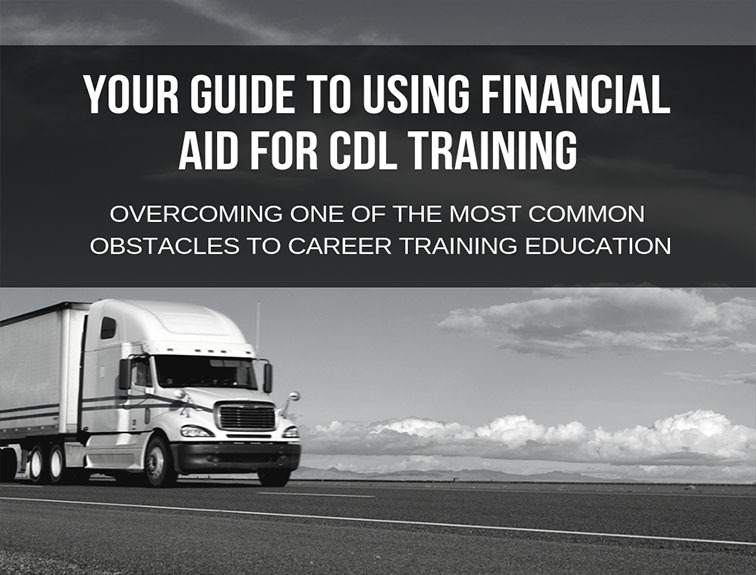 Here are few ways you can qualify for financial aid when getting CDL training at USTDS. Several tuition assistance opportunities are available for service members, their spouses, and dependents. The United States Department of Veteran's Affairs has benefits available to cover tuition and gives you access to a highly in-demand job field. Below are just a few of the VA benefits available you can receive. The Montgomery GI Bill: If you're a veteran with at least 2 years of active duty service, you can receive up to 36 months of benefits covered. The Post 9/11 GI Bill®: You may be eligible for 36 months of benefits if you have 90 days of aggregate service after September 10th, 2001. Special Vocational Training: If you have a disability rating from the VA and have an employment handicap, this program can get you the assistance you need. In addition to the programs available to assist veterans in getting the training they need, certain carriers will pay back up to $7,500 of the VA benefits used to cover CDL training costs. Even if you paid for training out of pocket, the carrier you find employment with will pay back your monthly tuition. The carriers that partner with USTDS recognize how important quality drivers are. 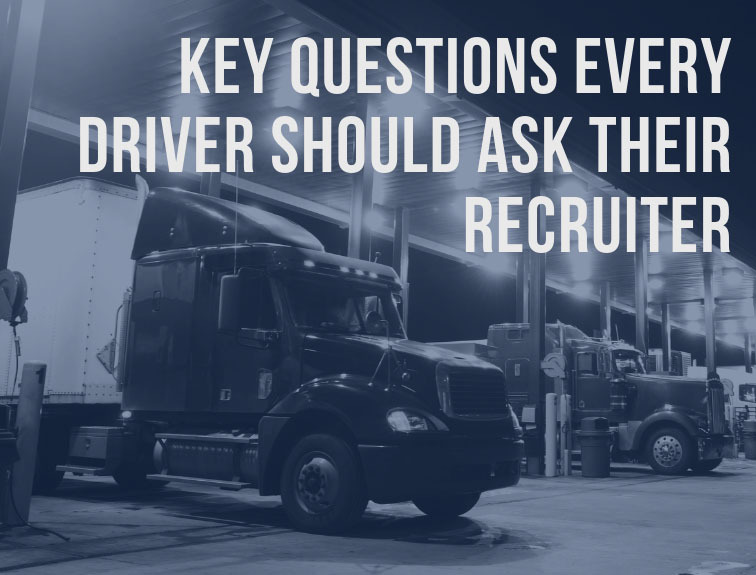 In light of the high demand for drivers, certain carriers are willing to invest in your CDL training. You'll receive benefits towards your tuition, housing, and transportation while you're getting your CDL training. When you get finished, you'll pay them back through a weekly payroll deduction until it's paid off. If you're interested in getting CDL training, contact us today to learn more about the financial aid opportunities open to you!